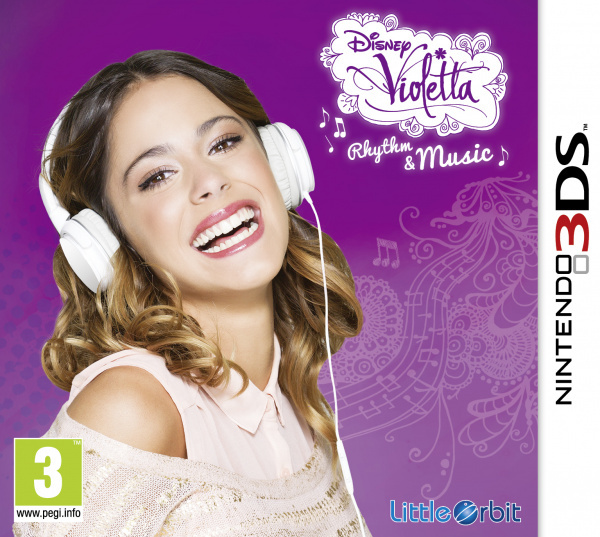 Sorry, no review of Violetta: Rhythm & Music yet. Play as Violetta in the first-ever video game based on the smash hit television show! Featuring hit songs from the show’s star Martina Stoessel, players will experience all the excitement of a star performer with creative rhythm games based on both song writing and performing. Kids can play along to music videos on the Wii and 3DS platforms and as Violetta on the DS. Violetta fans will put their knowledge to the test with creative quiz questions from the entire Violetta universe! ... hit show? I pay attention to Disney's channels on occasion and I never heard of this OR the singer. That grin is giving me the creeps.